SUGGESTED USE: To assist the body in regulating the balance between friendly vs. unfriendly bacteria and restore a healthy immune system, start by taking one capsule daily, 30 minutes before a meal with 6-8 ounces of water. Each week add another capsule daily until you are taking 4-6 capsules each day. Continue this dosage for 4 to 6 months to clean up the GI tract and restore optimal immune functions. Once you have met your goal of greater health, then drop back down slowly to 3-4 capsules a day to maintain a healthy gut. 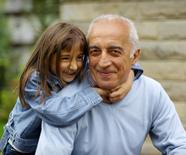 CHILDREN 2-12: Take ½ of adult dosage. CAUTION: As with any dietary supplement, consult with your healthcare professional before using this product. It is not recommended to use Body's Biotics if you are pregnant or nursing, unless you were on a Probiotic for a minimum of 3 months before pregnancy. Note: Please see Contraindications at the bottom of this page. Note: Body Biotics™ has previously been sold under several name brands including: Earth Flora, Natur Earth, Natur Zyme, and Nature's Biotics®). Body Biotics™ (the oldest known and maybe the only formula of Bio-Identical SBO Probiotics Consortia) has been sold as a dietary supplement for more than 37 years. Why are Prebiotic & Probiotic supplements so critical to your daily health and overall long term well-being? In today’s toxic world, we find excessive overuse of dangerous chemicals, fungicides, pesticides and herbicides in every aspect of our lives—from the water we drink, to the air we breathe, and the processed, antibiotic-filled meats we eat; compounded with our current farmland conditions of "unfertile, nutrient-depleted soil". Soil that was once teaming with a host of friendly Soil-Borne Organisms (SBOs), which we ingested daily to keep our gut in check, now have all but “gone missing” from our mainstream food supply, leaving most of us unprotected and immune compromised. The reasons for culturing Probiotics together as a “team”, and more specifically naturally-occurring SBO Probiotics Consortia with Prebiotics, instead of isolated single strains cultured individually and later blended into a product are complex. The science behind this is daunting. To explain it in simple terms, in nature, Probiotics work as a group (called consortia) and have been trained for billions of years to do specific jobs and to communicate (called signaling) important vital information to each other, for the greater good of “the team.” So to give you an analogy of this, let’s look at football. If you were going to the Superbowl, it would be reasonable for you to expect that both teams were “more or less” equal in their talents and abilities to play football, YES? But what if you got there only to discover that one team indeed had “Superbowl” qualities while the opposing team dressed in their impressive uniforms were actually a group of men that had — never played together, never practiced together, didn’t know the team plays, didn’t know their team position or even the identity of their quarterback? Would you really expect this second team to know how to carry the ball over the goal-line with any kind of success? The unique difference between other Probiotics, and a custom cultured “super team” of Bio-Identical SBO Probiotics Consortia nurtured in their ancestral Prebiotics food source, is as different as a Superbowl team is to a “pick-up” team…. it’s as simple as that! Although, the word Probiotics has been used to lump all Probiotics into this one category, SBO Probiotics Consortia™ are in a league of their own. Unlike the typical isolated strains of individually cultured Probiotics that have been blended into a formula that have never played together, never trained together and never been shown what job they are to perform; SBO Probiotics Consortia are well trained “Superstrains” cultured to live and work in harmony, to communicate and hand-off the job to the next team player that has been groomed for that position. This type of cultured SBO Probiotics have a symbiotic relationship because they were trained to understand that “survival” depends on them playing well with each other, for the good of all. In other words, if there is no culturing together, no training season, no team-building of a “symbiotic relationship” between the selected bacteria strains to communicate the plays…there is no game. 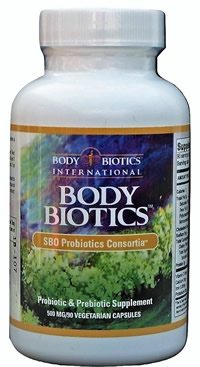 What is a Bio-Identical SBO Probiotics Consortia™ (BSBOPC™)? With Body Biotics™ SBO Probiotics Consortia™, we employ a process whereby each strain is introduced into the culture or host medium at a precise moment, one at a time. Between each introduction, the previous strains have time to work together, fight for territory, defend their positions, and evolve into a super-strain team of superior Prebiotics and Probiotics. We train them in our host medium to perform just as they would in nature, this way, when they are ingested into the GI tract they are able to signal and play out the many health providing benefits that they naturally would if we were still ingesting them from healthy fruits and vegetables. The symbiotic relationship of Body Biotics™ SBO Probiotics Consortia helps this product to perform like a superbowl team, not a pick-up team.